塔の上のラプンツェル Hand Drawn または CG? I've always liked hand drawn WAY better than CG, and when I heard Tangled was in CG, I flipped out and was seriously concidering boycotting it. It turned out to be amazing! And recently with movies like Tangled and even Dreamworks movies like Megamind, I think CG might be just as good as hand drawn. To me, it depends on the story, heart and effort you put into the movie. Any thoughts? When I first heard of this I said to myself oh boy this is going to be crap and its going to be a rip off of Shrek but surprisingly it was brilliant. 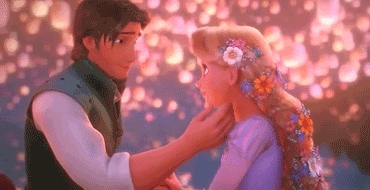 The animation was exquisite the music was very good, the characters were lovable you would fall in love with them the moment you see them on screen, the villain was plain crazy and cracked yet hilarious, the sidekicks were hilarious and the story was very good (a true masterpiece that you can watch over and over again).I loved Zac Levi in this as I never heard of him before and mind you his hot and love his singing voice. Mandy Moore was brilliant in this too her charcther was like Belle/Penny(when she was a brunette)and Ariel/Giselle(when she was a blonde). 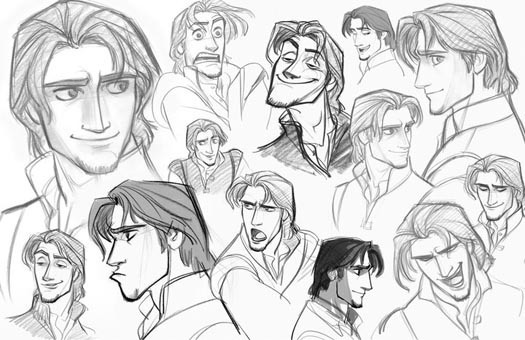 P.s did you draw Flynn/Eugene if yes your good I drew him about 20 times and I still can’t get it right.